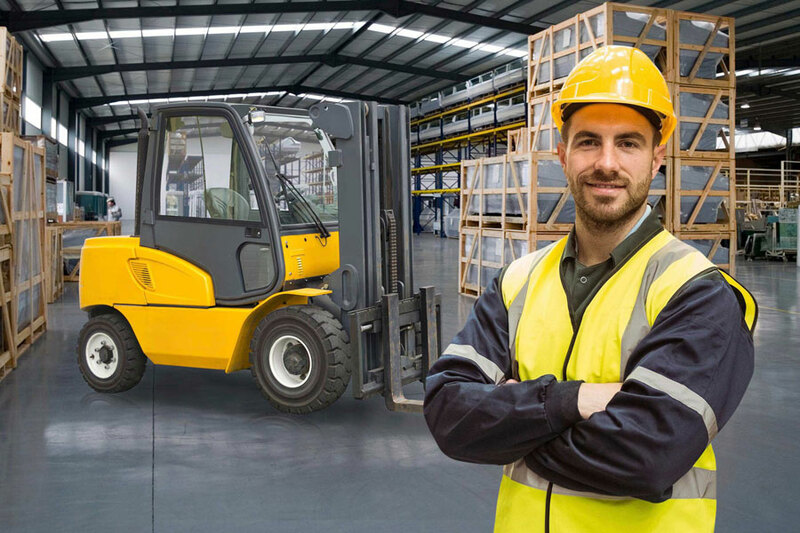 If you want to be eligible for driving a fork lift truck, then the first thing you should know is, how to get a forklift license. Most people are completely unaware of just how dangerous fork lifts can be, and just how big a problem incompetence regarding them is. It’s important to say this right at the beginning, to avoid any confusion… Forklifts are not toys! They are highly sophisticated and advanced pieces of industrial machinery, when you operate them it is vital that you do so with the utmost respect and caution. If you fail to do so, the consequences could be fatal. If you’re one of the lucky ones, you might get away with a telling off from your boss. If you’re not, you might end up seriously hurting yourself. If you’re one of the very unlucky ones, you might even end up six foot under. In the US alone, about 85 people each year are killed in forklift related accidents. That’s 85 families who have to cope with the loss of a loved one. More likely than not, a loved one of a relatively young age. Worst case scenarios aside, around 34,900 people are seriously hurt each year at the claws of a lift truck. 61,800 accidents result in a non-serious injury. Thankfully, government body OSHA provides laws and regulations which keep deaths and injuries as low as they possibly can be. OSHA stands for the ‘Occupational Safety and Health Administration‘. The purpose of OSHA is to make sure that all workplace safety requirements are met all across this great nation. They create the laws which limit the amount of people who get injured or worse killed at the workplace. Without these guys, companies would be able to allow to their workers to be in deadly conditions. Thank God that’s not the case here! One requirement that OSHA has put into place is that anybody who wishes to drive a forklift must have a valid OSHA forklift license. Although since you’re reading this article, I think it’s safe to assume that you already knew that. The main purpose of this article will be to learn about the methods of which you can get this forklift certification. Note: It’s not just fork lifts! All PITs (Power Industrialized Trucks) require you to have a license in order for you to be able to operate them legally. In this article, we’ll be exploring the 3 ways in which you can go about obtaining a license. But before we get into how to get a forklift license, it’s probably wise to talk about why you should get it. Just in case you’re not yet convinced about getting your hands on one, allow me to elaborate. Let’s get real for a minute. Jobs are not particularly easy to come by. Some people blame it on immigrants, some on capitalism, some on the government, and some on the amount of people in the country. But regardless as to why they are difficult to come by, one thing is for certain, they are difficult to come by! With the job market being what it is (a very tough world in which the strong rise to the top, and the weak get left behind); most employers are looking to employ the best of the best, the top dogs, and the crème de le crème. If you already have your forklift operators license, your potential employer will look at your forklift operator resume and know that employing you will save him (or her) a lot of time and money as they will not be legally required to train you. All the safety regulations in the world can’t change the basic reality of capitalism; companies want money. Anyone who can put ‘fully forklift certified’ onto their resume is already at least one step ahead of the rest of the competition. Who would you rather employ somebody who you had to spend time and money on or somebody who knew what they were doing and could get straight into the work? Getting a OSHA forklift license only takes a day or two. It’s without a doubt worth it. Even if you’re already employed, it’s not impossible that a forklift operator certification is required for you to hold onto your job. Even if that’s not the case, it’s still worth having it. Why? Having a forklift operator license will enable you to get promoted into higher positions at the workplace. The license will help you to get, maintain, or advance in a job. Surely only a fool would say no to that! Once you’ve decided what type of lift truck you wish to operate, the question remains as to how and where can I go to get forklift certified! Applying for a job? 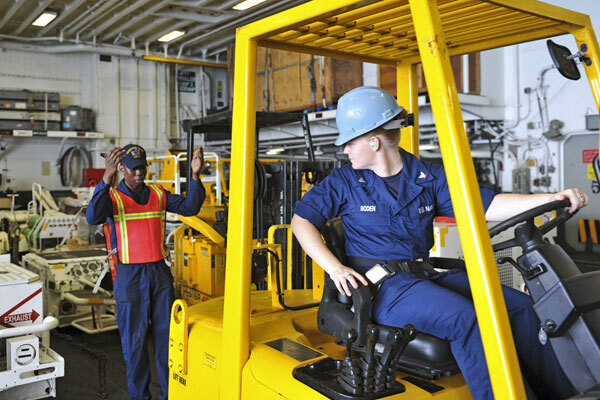 Read about the duties & responsibilities of a forklift operator. Get Your Fork Lift License Today! So now you know why it is absolutely necessary for you to obtain your forklift operator certification in order to become a fork lift driver. Now, we will show you three different ways on how to get your forklift certification easily. The first and most popular method of gaining your forklift operator certification is for it to be provided to you by your employer. Obviously, the only downside to this method is that you already need a job in order to be able to do it. Not much use for anyone who is unemployed! By law, it is the employer who is responsible for ensuring that their employees have the necessary training. But as well as being a legal requirement, having a team who all have a forklift license provides any employer with an array of benefits. The main one being that it’s a lifetime guarantee that nobody will be getting hurt. Avoiding injuries is in the interest of the company as injured workers will not make as much money as they would do otherwise. 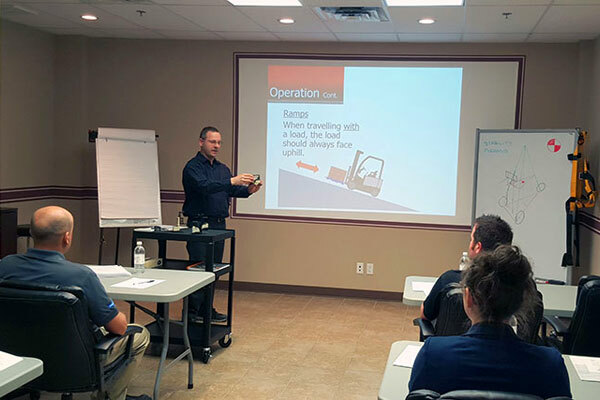 Most of the time, larger companies will have a permanent in-house forklift trainer whose job it is to ensure that all the new staff have the correct training and license required to operate the intended lift truck. However, smaller companies may bring in an outside advisor to train their staff. If you ARE an employer, then it is your responsibility to make sure that all of your workers meet the legal requirements before they can drive a forklift or any other piece of industrial machinery. Side note: OSHA does not certify anyone for anything. All they do is create the laws that protect our safety and carry out surprise inspections to ensure that these standards are being met. If an employer fails an OSHA inspection, they could be fined upwards of $7000. If a potentially (or even actually) fatal accident occurs, the employer could be faced with criminal charges. Are these charges justified? 100%. These are real human lives we’re talking about! Firstly it can be adapted to suit a certain workplace. To illustrate, let’s say that your workplace has a habit of getting very hot. I know I’ve worked in a place like that! During your forklift training, your trainer can give you extra advice on the importance of making sure that you have enough to drink and not using a fork lift if it’s unbearably hot. If you work in a crowded place with a lot of other staff, perhaps it’s wise to place emphasis on how to break safely. Secondly, as part of your training, it’s almost certain that you’ll be educated on your company’s general safety policy. This will help you to better understand the company and the safety measures. Finally, it allows you to voice your concerns and ask questions to your superiors. The second option is to enroll in a forklift driving school. Knowing how to get a forklift license is winning half the battle, but the real struggle starts from choosing a good school for the fork lift training. Which school to choose? A quick Google search (Bing if you’re a weirdo) will tell you what schools are near you. This option is best for the people who are currently unemployed and wish to change that. The only downside is that it does cost you money to get forklift certified online. By having your forklift certification ready when you apply for a job, you are one step ahead of the competition as your potential employer will not have to spend any time or money on training you. Even if you’re already employed, your employer may send you to a forklift training school if the company does not have its own permanent in-house trainer. You will be away from work, but thanks to OSHA, you’ll still get paid! Whilst at the school, your focus will be on one specific type of lift truck. It’s important that you know what type of fork lift you intend on operating before you sign up for the training school. At the school, you will be given a practical test and a written test, just like if you were learning to drive a car. The first part of the course is a four-hour lecture. I know it’s dull, tedious, and boring but it’s worth the pain to be able to say, “I can legally operate a fork lift.” During the lecture, you can learn and ask questions about how to drive a forklift truck and what safety precautions you ought to take. After the lecture, you’ll have to do a written test (forklift license test) – urgh! Thankfully, it’s multiple choice. So long as you’ve paid attention, you’ll do fine! If you pass the written test (which most people do), just like with a car, you’ll then move onto the practical examination. During this exam, you’ll have to prove to an instructor that you can put everything you’ve learned into practice. If you tick all the boxes (and the boxes will be explained to you), you’ll get the golden prize – a forklift operator license. On said forklift operator certification, you will find the following… your name, your trainer’s name, insurance information, expiration date, fork lift type, the address of the company/school, and any other information deemed vital. Regardless as to where you get your certification, it’s only going to last you for 3 years. By law, OSHA forklift license renewal is required every 3 years. After that, you’ll have to do everything all over again. I know it’s annoying, but that’s the law. Got a forklift operators certificate but aren’t too sure if it’s still valid? Check! If you find its older than 3 years either speak to your employer or enroll in a forklift training school. Check our certification guides in your state. To learn more about other locations for forklift training, visit here. The final method of obtaining a forklift license (even though you don’t really obtain a forklift operators license using this method) is to do it online. The online version does include the written examination, but apparently, doesn’t include the practical one. Although some people are very critical of this method (and rightly so), it does have its benefits. Critics of this method say that you cannot get a full license that would pass an OSHA inspection without doing the practical examination. That, combined with the fact that you could easily Google the answers, means that it’s not overly impressive on a resume. Are the critics right? They are, but there are two sides to every coin. Whilst this method is undoubtedly not as good as going to a forklift driving school, the fact of the matter is that many people either don’t have the time to go to a school (such as parents) or live too far away from one ( such as people who live in the countryside). All you need for online training is access to the internet and a computer (or smart phone/tablet). Having a good understanding of how to drive a forklift	safely will mean that your potential employer will spend less time training you, and the training will be much easier. Although online training will put you behind the people who went to forklift training school, it will put you ahead of everyone else who hasn’t done any training at all. So whilst the critics are 100% correct about training school being better than online forklift certification, they fail to realize that some people do not have time for or access to training school. Isn’t any training better than no training? Having a fork lift license can provide you will incredible benefits and amazing opportunities. It will help you to get, keep, or advance in a job. If you want to operate a fork lift, doing so without a license will get you into some very serious trouble. It’s important that you do whatever you can to make sure that you have your forklift operator license in your pocket ready for when the next OSHA inspection happens! Now that you know how to get a forklift license, you better get started if you want to be one step ahead of your competition! This is a very competitive field, demand for certified forklift operators are not going to slow down anytime soon. In fact, according to the US Bureau of Labor Statistics, the demand for fork lift operators will increase by more than 12% through 2020. So what are you waiting for? 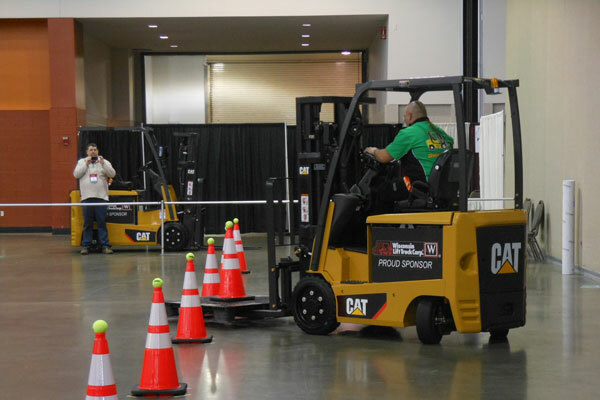 Select a forklift training school and get your license today! And if you have any questions about how to get a forklift certification, let me know in the comments section below, or you can also ask them in an email. My husband really needs to get a forklift license for work. Thank you for the information on how he can get a license. That is good to know that you can sometimes get the certification through your employer. We will have to check and see if they offer that.